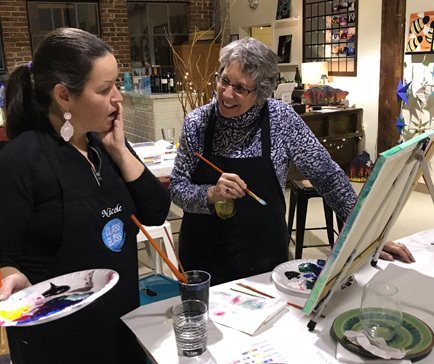 Class with a Glass studio is happy to host private events for birthdays, company team building, holiday events, baby and bridal showers and many other fun occasions. Private Events may be booked on any available dates or times. Please email info@classwithaglass.com to begin planning your event with our staff. The studio can host 8-24 painters per event. 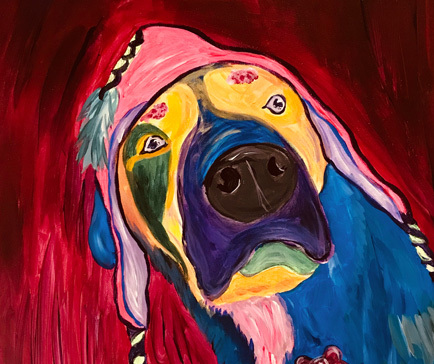 Cost for 8-14 adult painters is $44 per person. 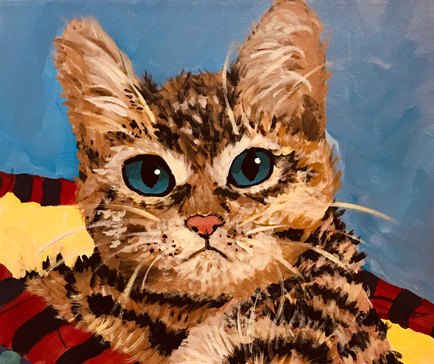 Cost for 15-24 adult painters is $39 per person. Adults are age 16 and up at Class with a Glass. 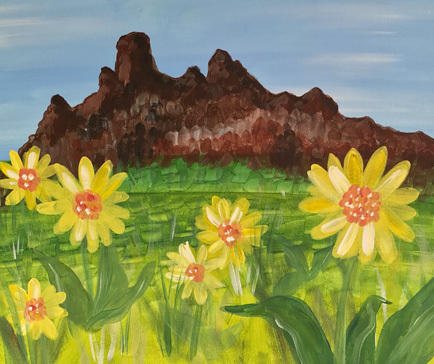 Kid’s events are slightly different – For kids ages 5 – 15, cost is $29 each for 8 – 14 painters. Cost for 15 – 24 kids is $25 per person. A deposit is required to reserve a date at the CWAG studio. For 8 - 10 guests, pay for 2 registrations in advance; for 11 - 14 guests, pay for 3 registrations in advance and for 15 - 24 guests, pay for 4 registrations in advance of the event. The remainder of the balance must be paid 48 hours prior to the private event. You and your guests will be given a link to use for class registration. 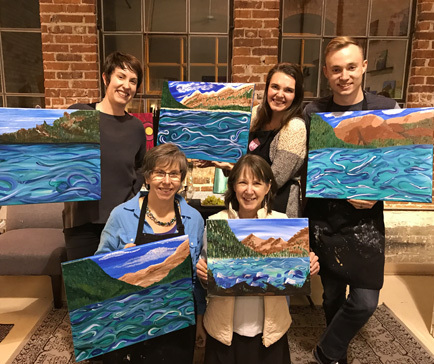 A friendly painting instructor to guide your guests through the creative process. Your group will have exclusive rights to the space during your event. A host to staff the studio bar and serve light refreshments. Please note, beverages are not included in the class price but a selection of wine, beer and non-alcoholic drinks are available for purchase. Food will be provided. 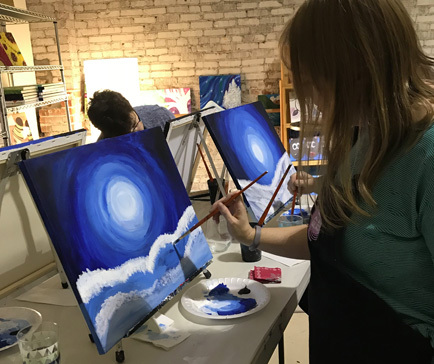 A fun atmosphere to bring your friends, family or coworkers together to create something new! Please email us info@classwithaglass.com and let us know which date you would like to schedule your party and we can go from there. Forgot your private event registration link? Send us a message and we'll confirm and resend it.